Hike done on August 26, 2017 with Jennifer and Andy. We did a shuttle hike, beginning from the FHT trailhead right off Jocassee Lake Road, hiked the 2 mile trail down to Eastatoe Narrows, and then hiked upstream to the confluence with Rocky Bottom Creek, turned up Rocky Bottom Creek and followed it up to Hwy 178 where we'd left a second car. Our hike began at the FHT parking area off Horsepasture Road. 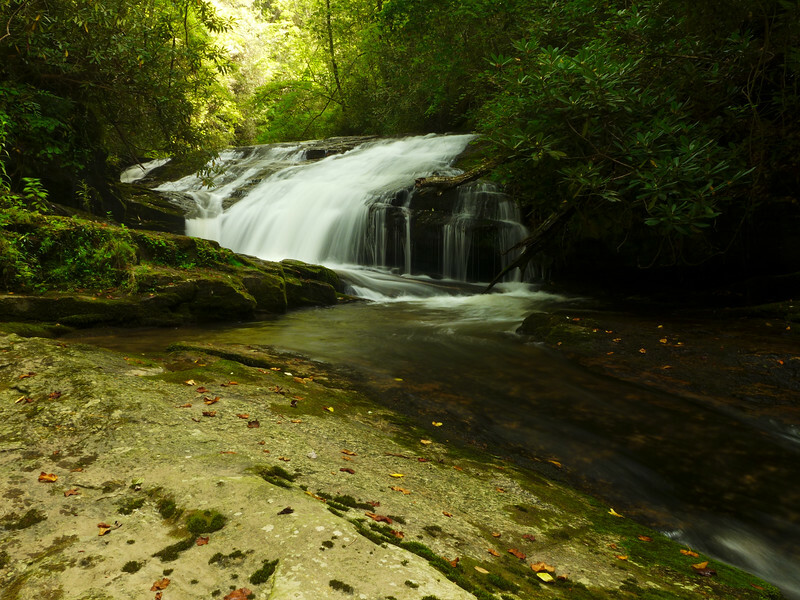 We hiked the 2.5 mile trail down to this spot on Eastatoe Creek. The Narrows are just immediately upstream from this cascade.